Brian Hastings is a professional cash game poker player and the winner of three World Series of Poker bracelets. Find his poker biography & videos here. Brian Hastings is a professional poker player and the winner of three WSOP bracelets. Brian Hastings was born in 1988 in Hanover Township, Pennsylvania. He began playing poker in 2006, when his math teacher taught him about the game. He soon graduated and began attending Cornell University, where he studied economics, although poker soon began taking more of his time. It didn’t take long for him to find his niche in online cash play, taking part in one of the largest battles in online poker history. In 2009, the mysterious Isildur1 appeared on Full Tilt. After winning millions from various players, Hastings decided to take up the challenge. Over the course of a single session, he won over $4 million from Isildur1, along with winning another $1.5 million later. This massive win was not without controversy, however, as many claimed that he was using hand histories from previous opponents to understand Isildur’s play. Full Tilt investigated, though, and cleared him of any wrongdoing. Since the battle with Isildur1, Hastings has consistently proven himself online as a formidable opponent. 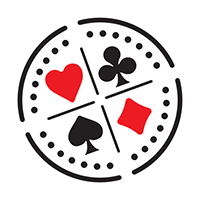 In addition to playing, he is a co founder of Cardrunnrers.com a video site publishing training content for beginner and advanced poker players. The site has grown into one of the largest training sites on the web, with many pros contributing videos on a regular basis. After Black Friday in 2011, Hastings moved more towards online play in the United States. His introduction to live tournaments was successful, as he won the $2,200 buy-in WPT Regional Summer Splash for $213k. He found similar success at the WSOP, where he was won three bracelets, including the $10k Heads-Up NLHE event in 2012, the $10k Seven Card Stud Championship in 2015, as well as the $1,500 Ten Game Mix that same year. 2015 also brought more controversy to Hastings’ career, however, as he was alleged to have been using multiple accounts on PokerStars to play within the United States. Early in the year, an account with the name Noel Hayes appeared on PokerStars, playing in many of the same high stakes games that Hastings typically played when he was legally playing on the site. According to players, he was using a Virtual Private Network to play on an account from another existing player, saying that they had Skype messages confirming that it was Hastings playing under the name. Hastings refused to comment on the initial TwoPlusTwo thread, although he later wrote a public post stating that he loves the game and would rather promote it than address accusations from people online. It remains to be seen if any investigation will take place. Controversy aside, Brian Hastings has proven himself as a great poker player. His live earnings may only total $2.3 million in tournaments, but he is one of the most feared opponents online and he hopes that he will soon be able to return to online play in the United States. Brian Hastings can be found on Twitter at @BrianCHastings and on PokerStars under the name Stinger885. How Isildur1 Lost $4,200,000 in 1 Day! Americas Cardroom has found itself under fire yet again after using the WSOP brand name to boost its profile and tournaments. Brian Hastings Blasts ACR Over Yet Another Failure! Retired high-stakes crusher Brian Hastings is the latest big name in poker to slam Americas Card Room for their appalling customer service. High-stakes PLO crusher JNandez has produced a short documentary on the most exciting poker player on the planet: Viktor 'Isildur1' Blom! Lifting the title and $257,638 at the WSOP Circuit Seminole Hard Rock Main Event couldn’t have come at a better time for 52-year old Joe Gotlieb. Starting June 1st, CardRunners will stop the production of paid video content and move a portion of their library to YouTube. ​One of the most controversial and brilliant players of the modern poker era – Brian Hastings – has claimed he is giving up the game and going into business selling tea. As opposed to Jason Mercier’s challenge who simply offered 3-to-1 and 2.7-to-1 odds to win a gold bracelet, Hastings had a different idea last summer. He proposed a Daily Fantasy Sports point system for the whole WSOP and whoever performed better would win the bet.